RAKAI – The country woke up to sad news early this week after eleven boys perished and another 30 suffered severe burns in a fire that gutted their dormitories at St. Bernard’s senior school Mannya on Monday night. 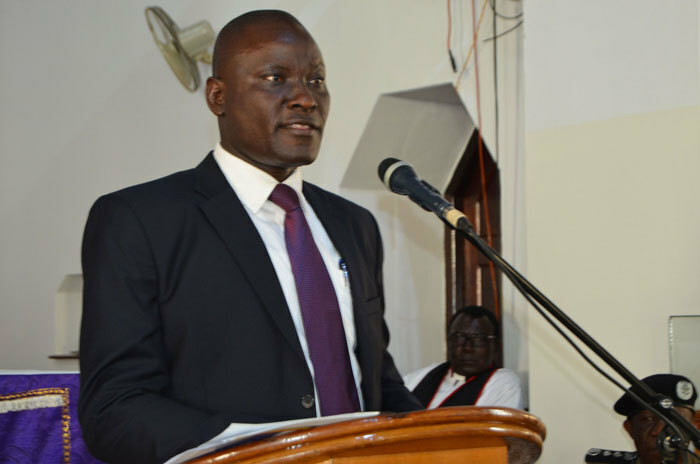 Henry Nsubuga, the headmaster of the school and police detectives said they suspected some students who had been expelled recently were behind the “heinous act”. 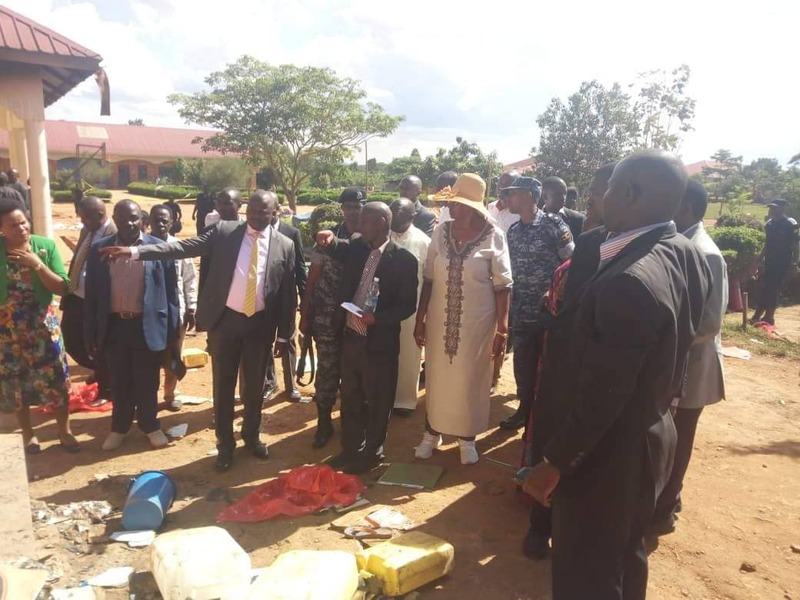 “The arsonists first locked the doors of the dormitories before setting them on fire … even when the rescue came it was difficult to evacuate the students inside the dormitories, some would have been saved but died out of suffocation,” Nsubuga said. Detectives also told PML Daily that they suspect that assailants coordinated with colleagues inside the school which made it easy for them to access it. “On entering, the assailants who were armed with petrol and matchboxes first put padlocks on the dormitory’s door setting it ablaze,” a detective said. “I saw someone pour fuel on a fellow student’s leg from a window. The student woke up and asked the person what he was pouring on him. The person then lit a matchstick and threw it inside the dormitory,” a student revealed. The students fought to get out only finding the door locked from outside. It was minutes later that the door was broken and some managed to get out. 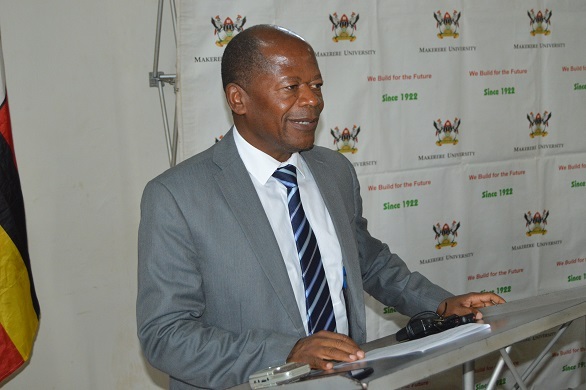 PARLIAMENT – State Minister for Higher Education John Chrysostom Muyingo, in a statement to Parliament, said the government will rebuild the structures of the dormitory that was set on fire. Speaker Rebecca Kadaga also called for speedy investigations into the fire in which eleven students were burnt to death. On Thursday the remains of nine Bazukulu killed in the fire were handed over to parents for burial after police completed DNA tests. MULAGO – Police pathologist, Moses Byaruhanga said their findings show that the deceased suffocated due to heat before they were burnt to ashes. Investigators are still at the scene of what appears to be a deliberate arson attack in an attempt to get some clues on what could have exactly happened. PARLIAMENT – In other news in the eventful week, a Parliamentary probe into the circumstances that led to the closure of the seven defunct Banks by the Central has established that the then Minister of Finance, Mayanja Nkangi ordered for the closure of Teefe Trust Bank despite not having legal powers to do so. The revelation was made during a meeting held between the officials of the Central Bank and MPs on the Committee of Statutory Authorities and State Enterprises (COSASE) that was looking into the process that led to the closure of Teefe Bank. Director Supervision Tumubweine Twinemanzi told Parliament that Teefe Bank was closed in February 1993 under provisions of the Banking Act 1969 which didn’t contain substantive provisions on reports that the liquidator was supposed to compile. 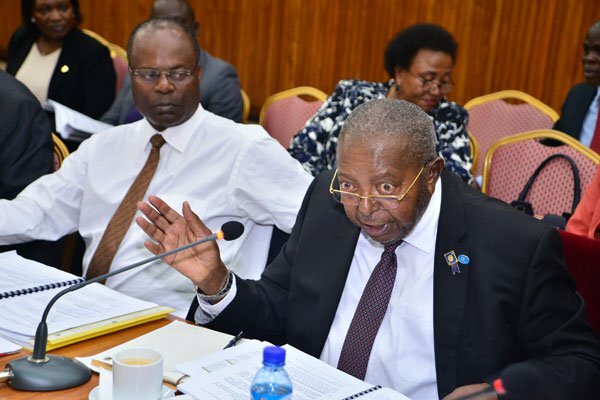 However, it wasn’t long before Michael Tusiime, the Mbarara Municipality MP pointed out the loopholes in the information the Central Bank had provided, tabling a letter authored by Nkangi on 4th November 1993 ordering for the closure of Teefe Bank. It was then that Katuntu inquired if the Minister had powers as of 4th November, 1993 to close a Bank and reading Section 34 of the Financial Institutions Statute, Tusiime pointed out that at the time of closure, the Minister didn’t have the powers to close the Bank as such were vested into the Central Bank. Indeed, BOU Legal Director admitted that the Minister didn’t have powers to close the Bank under the 1993 Statute and that Teefe could only be closed by Central Bank in consultation with the Minister, saying Nkangi’s letter was irregularly worded. Also, opposition Members of Parliament have rolled out a campaign to push Museveni out of power before 2022. These also urged Ugandans to fight for peace and protect their rights. The MPs who are carrying a countrywide campaign to support those who opposed the amendment of the constitution on the presidential age limit were gathered in Makindye Sabagabo last week. Ssemujju was set to host fellow MPs under PAFO and those who voted against the age limit amendment at his home in Kirinya and at a rally later. 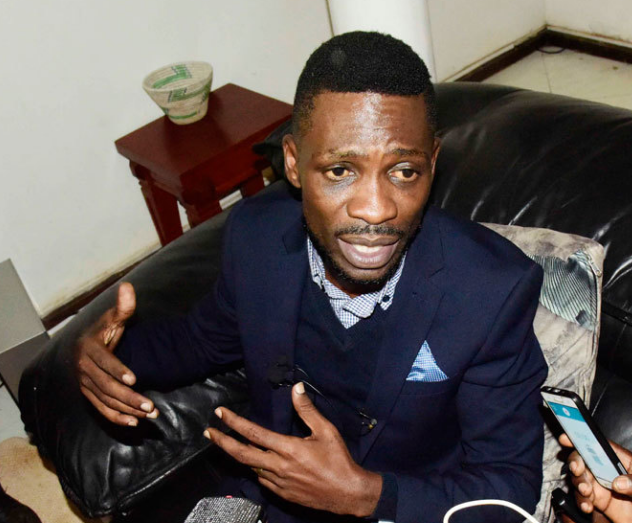 Kyaddondo East MP Robert Kyagulanyi aka Bobi Wine on Friday condemned the police decision to block an opposition rally that was due to take place in Kira Municipality, Wakiso District on Friday morning. Police blocked Kira Municipality MP Ibrahim Semujju Nganda from leaving his home and also cordoned off the rally venue to the chagrin of Bobi Wine and his supporters. “This morning [Friday] woke up with a very good vibe, with plans to visit and address our people in Kira Municipality with comrade Hon. Ibrahim Semujju Nganda and fellow other Members of Parliament. We also had plans to plant a freedom tree at the home of Hon. Semujju,” Bobi Wine wrote on his Facebook wall. 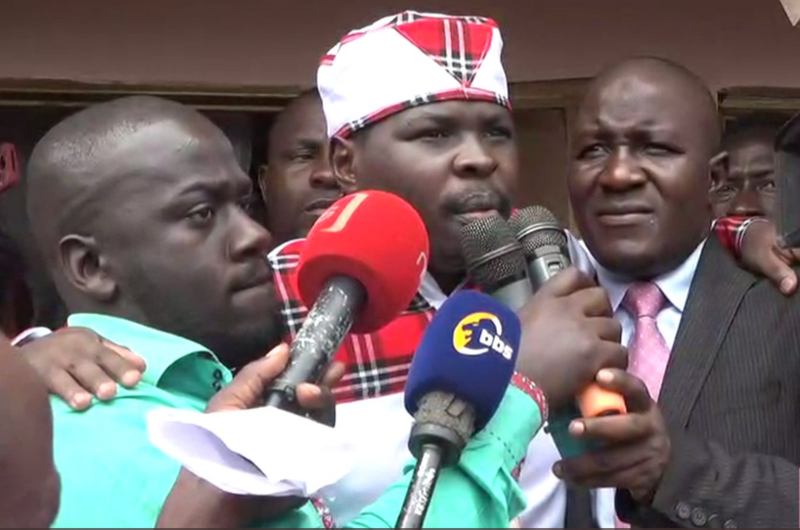 On Friday, Police summoned Mityana Municipality MP Francis Zaake over allegations of treason and unlawful escape from custody during and after Arua Municipality MP election fracas. He is required to report to CID Headquarters in Kibuli on Wednesday next week. In other news, Eddie Kenzo, one of Uganda’s top artists, this week revealed that President Museveni is no longer fit to rule Uganda and should quit and give way to young people like Kyadondo East MP Robert Kyagulanyi aka Bobi Wine. Speaking to BBC’s Focus on Africa programme on early this week, Kenzo, whose Stamina hit was used in the 2011 election to promote Mr Museveni’s presidential bid, was explaining why he was among the many artistes that attended the Kyarenga concert hosted at One Love Beach by Bobi Wine, who has now become a big political threat to the Museveni government. “The truth is Museveni has done many good things but now l have had a change of mind. The bad side is too much. I have travelled since that time and become more exposed. I have been to countries which are better governed,” he added. “In Uganda, people are very scared. You have to be strong to speak out. I’m one of those with a strong voice and I’m followed by so many people. I remain just a concerned citizen but with a duty to advocate for a better Uganda,” explained Kenzo. 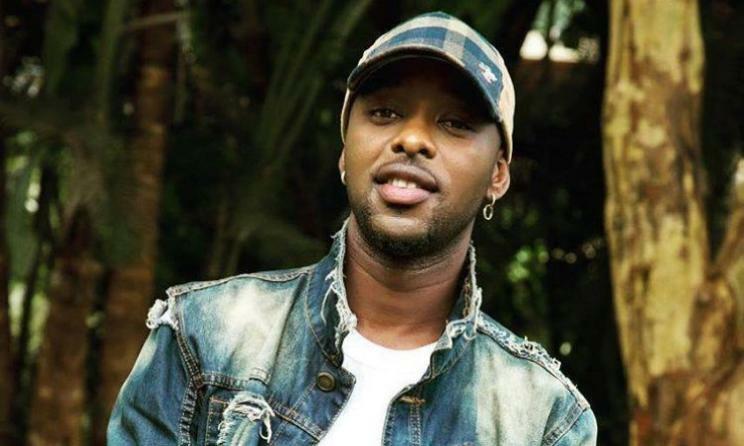 The same musician on Thursday surprised his fans when he came out to campaign for his bitter rival Bebe Cool who was nominated in AFRIMA as the best male artiste in East Africa. The 2015 BET winner took to social media imploring to put disagreements aside and vote for the controversial Gagamal boss in the forthcoming Awards. Kenzo said this is the time when Ugandans need to unite to see that the big accolade is brought home. At the same event, Uganda’s Bobi Wine who just a successful music show had dubbed ‘Kyarenga’ will be a panellist during the Africa Music Business Summit in Ghana. According to Nde Nkifonka, the event’s curator, Bobi Wine was selected for his tenacity, courage, and dedication. “AFRIMA is a panel discussion and a master class platform to interrogate, strategise and charting ways for the African talents and business of music in Africa. This is our fifth edition,” he said.